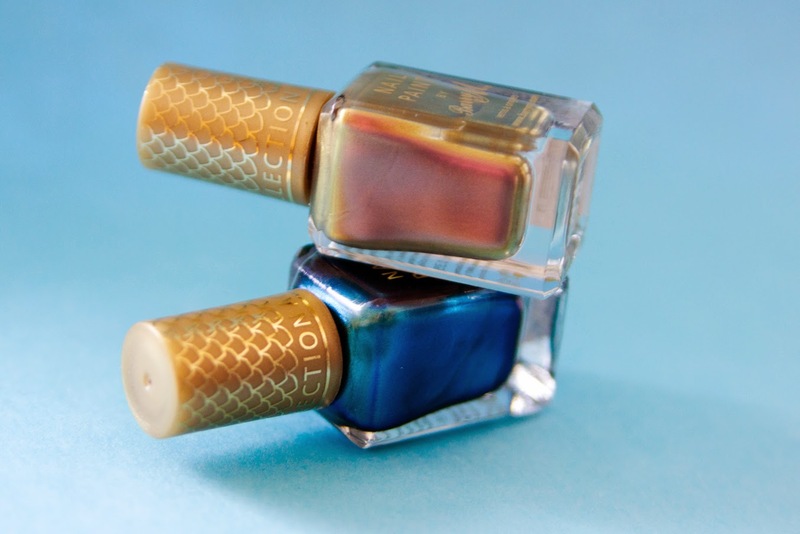 Down By The Water - The Aquarium Collection from Barry M.
(l-r) Pacific and Caspian from the Barry M Aquarium collection. 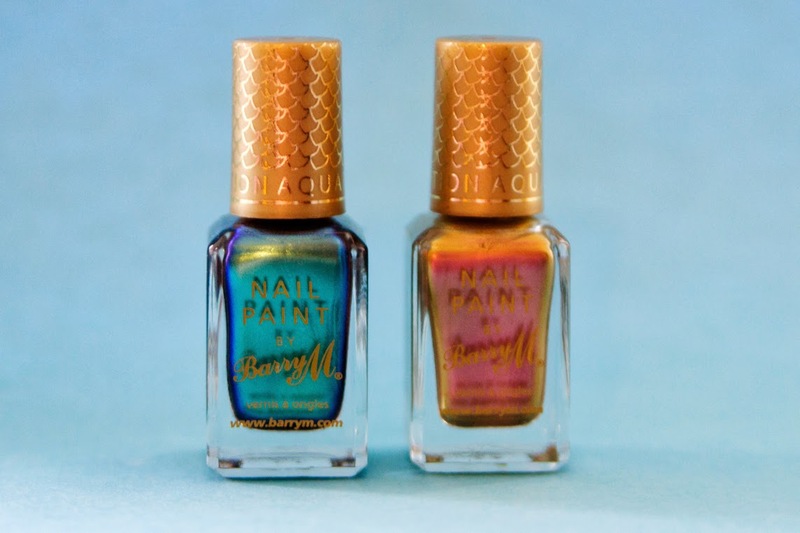 As part of their SS14 collection, Barry M have released their much anticipated Aquarium collection - a shimmering sea worthy series which appeals to sirens everywhere. Pacific and Caspian from the Barry M Aquarium collection. The collection is made up of four two-tone nail paints which dazzle and change from every angle. 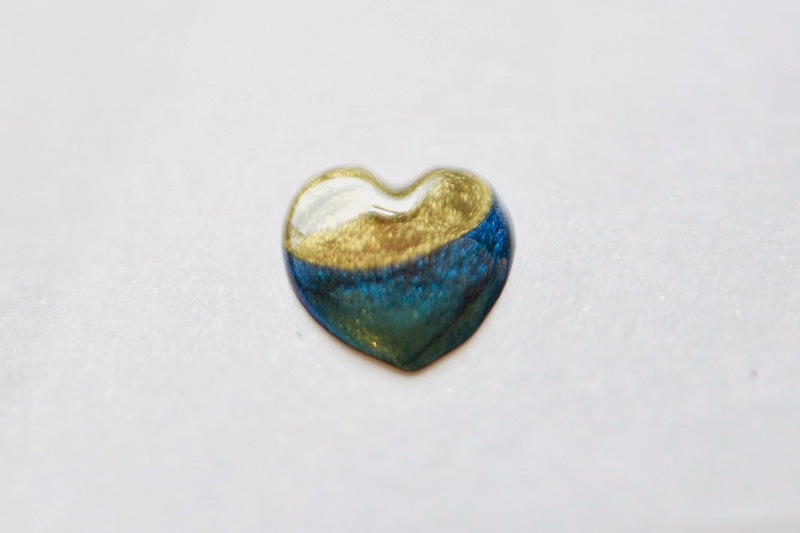 It also has two glitter options with large particles ensuring a shimmering top coat. I took advantage of Superdrug's two for £6 offer and picked up the Pacific and Caspian colourways. Depending on which angle you wave your hand, Pacific is a beautiful petrol blue-green whilst Caspian shimmers back and forth between a pearly pink and gold. Each of the shades compliment each other, and I'm quite keen to get my fingers dolled up in the other colours - especially the gorgeous glitter top coats!